Celebs Now | Prize Draw - 10 x 3 months Swedish Fit® membership! Win 3months Swedish Fit membership. This membership will you access to all classes in all locations as many times as you want in the UK and abroad! 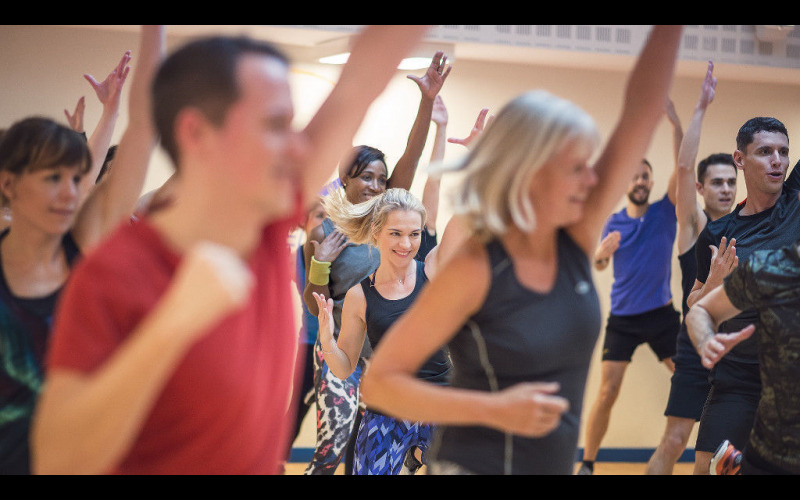 Have you heard about the fitness sensation Swedish Fit® growing across London? There is classes in City, Soho, South Kensington, Clapham, Canada Water. Swedish Fit® very well know as "la Gym Suédoise" is extremely popular in Europe with over 25 000 members. It's a unique fitness method which has been elaborated with both physiotherapists and Swedish doctors. During one session, we work all the muscles in the body by alternating between cardio and body strengthening exercises, stretching and relaxation. We do the gym to music, the aim being to keep fit by having fun. This subtle alliance between fun music and physical exercise will boost your morale and release these famous welfare hormones called endorphins! Swedish Fit® offers a variety of intensities for everyone to find their pace, according to their physical condition and mood of the day! Check out our website to find your Swedish Fit® class, pick up your gym bag and get ready for an hour of fitness and fun!